Description: Holly is an evergreen tree or bush with hard, shiny leaves and thorns growing in forests or hedges. The trunk has a smooth gray bark and can grow to 35 feet high. 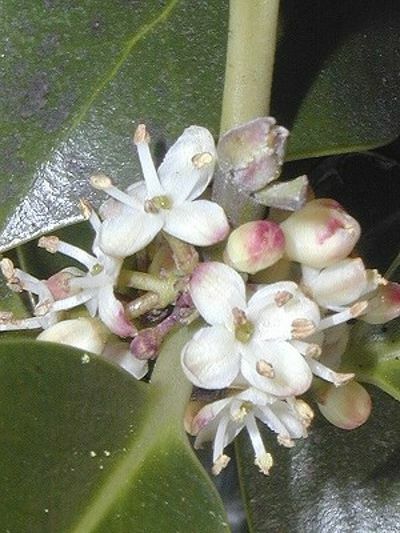 The small, white to light pink blossoms have a sweet fragrance, female and male blossoms bloom normally on separate bushes. It is in flower from May to June. The berries are glowing red.